Since its explosion in popularity when electric guitars were notably used by great artists such as Elvis or The Beatles, and on into the Classic Rock era of the 70s and 80s everyone loves the guitar. From it’s beautiful and calming sounds of an acoustic guitar to its high gain squealing electric guitar solos there’s inspiration for almost anyone to find in the various iterations and uses of the guitar. Our guitar curriculum ensures you’ll be prepared to play and read music for nearly any genre as you progress through our levels. We start with the basics of rhythms and melodies, moving on to chords and eventually advances techniques and soloing. 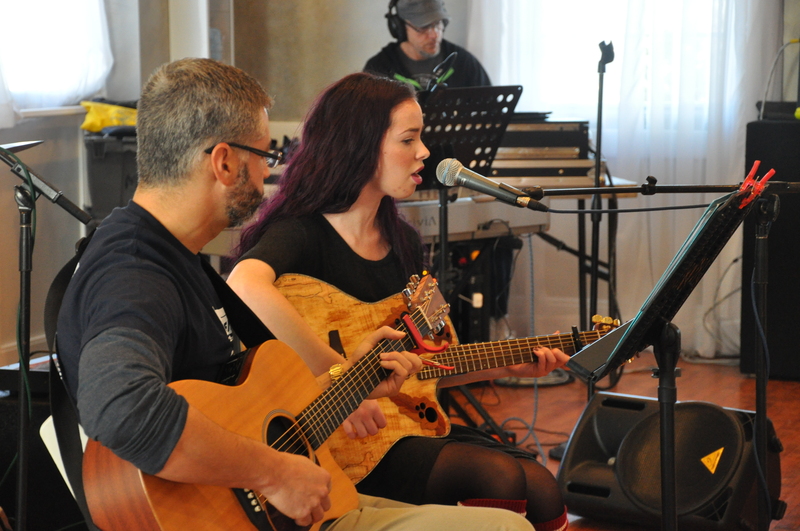 You’ll gain experience in Rock, Pop, Blues, Jazz and even Country. Whatever your favorite band or musician is we’ll cover the essentials to bring their songs within your reach. Looking for something more delicate? No problem, we have magnificent classical guitar teachers as well.